You can see this during a visit to the Mansu Hill Grand Monument, as they are right next to each other. The Chollima Statue was opened on Kim Il Sung’s 49th birthday on April the 15th 1961. According to legend, Chollima can travel 1,000 li (400km) a day. Chollima became the symbol of the DPRK’s rapid post-war reconstruction efforts during the 1950s, which became known as the “Chollima Movement”. The Chollima Movement emphasised ideological incentives to work harder, and the personal guidance of Kim Il Sung. Thus it shares commonalities with the Great Leap Forward in China and the Stakhanovite movement in the USSR. 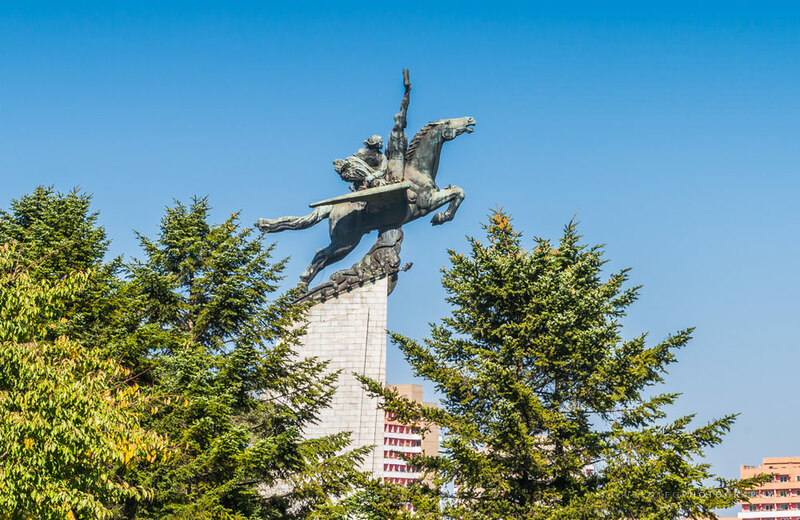 The Chollima Statue was a part of a broader artistic campaign from the time that celebrates the Chollima Movement, and utilises the winged-horse Chollima as a symbol. The monument was constructed by the Mansudae Art Studio. The monument stands at 46 metres in height. It has a granite base with a bronze sculpture mounted on the top. The sculpture itself is 14 metres in height and 16 metres in length. The two figures are a female farmer and a male worker. The farmer holds a sheaf of grain while the worker raises a Korean Worker’s Party document. The Chollima Statue is a recipient of the People’s Prize (인민상; 人民賞), a high level arts and science prize awarded by the DPRK cabinet. The statue is one of many Chollima symbols that can be found in the DPRK. 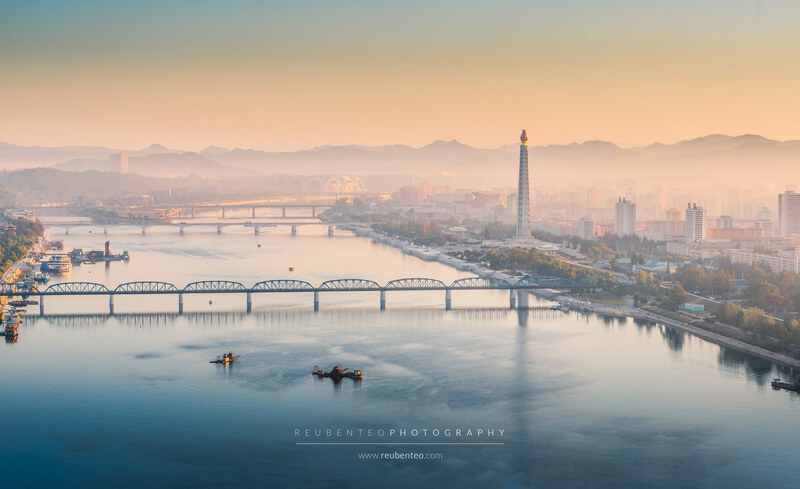 Others include the national soccer team, which is known colloquially as the Chollima Team, and a Pyongyang Metro line called the Chollima Line.